Sick and tired of your low quality sheet set you bought years ago? Well what perfect timing. Help me to give a big warm welcome to the new Sachi sheets! Sachi is looking to provide a luxurious look and feel through their expert craftsmanship. 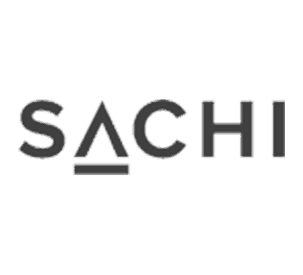 Will Sachi make a name for themselves in the competitive bedding industry? Continue reading below to find out! If you’re in a rush, you can click here to save a little time and go straight to the summary. Built with long staple cotton, Sachi sheets are extremely soft and cozy. Enjoy $25 off your purchase with code SLEEPOPOLIS! 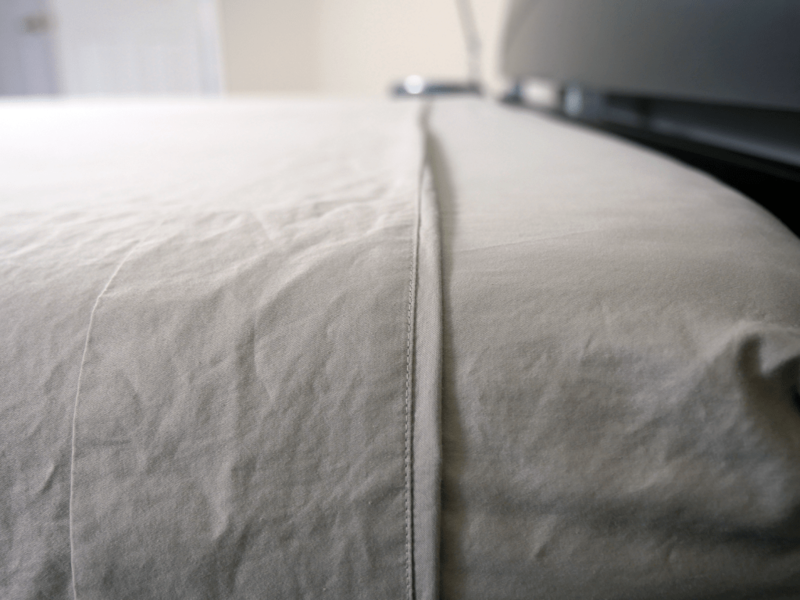 The Sachi sheets are built from 100% long thread cotton. 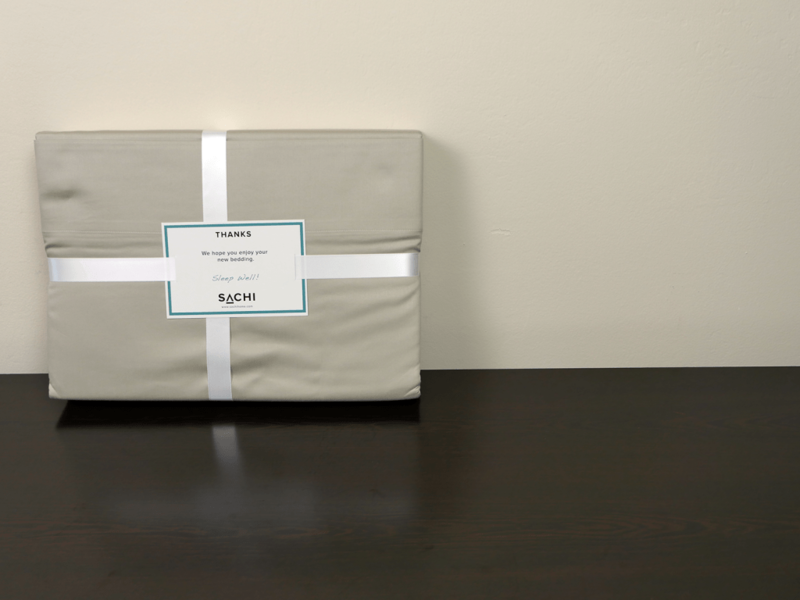 Similar to most sheet sets, Sachi includes a flat sheet, a fitted sheet, and 2 pillow cases, but they are only offered in Queen and King sizes. Additionally, these sheets have a 500 thread count. Designed with a sateen weave, these sheets are also made to feel extremely soft. The pillow cases are traditionally crafted, with the basic opening at one end of the case. The fitted sheet contains an elastic band around the entire bottom portion and is built to fit mattresses with depths up to approximately 16″ thick. When looking at the flat sheet, it is evident that the sheet was made to fit larger mattress depths as well. Overall, the build quality of the Sachi sheets was quite impressive. I made this conclusion based off of a close examination of the entire sheet set including stitching, materials, and overall construction. After searching through the flat and fitted sheets, I was only able to find a total of 4 loose threads. These threads were small and appeared to be harmless. The pillow cases were flawless and did not show any signs of stitching issues whatsoever. As I tested the Sachi sheets, I factored in a few important topics. For starters, shrinkage. The most well known issue with sheets tends to be shrinkage. As consumers, we want reassurance that our new sheets will not shrink dramatically after a normal wash / dry cycle. Following shrinkage is thread examination. Are there any questionable loose threads? 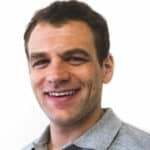 Have the already existing threads become more evident through normal usage? And lastly, color. This test allows me to determine if the color / dye materials used in the Sachi sheets are low or high quality based off of any color run off. Shrinkage is the most important feature tied to a new sheet set. Before running the sheets through a wash / dry cycle, I take measurements that will serve as my baseline. Once these are complete I wash and dry the sheets (standard wash & dry cycle) and take new measurements. After comparing the new measurements to my baseline measurements, I saw very little sinkage from the Sachi sheets. 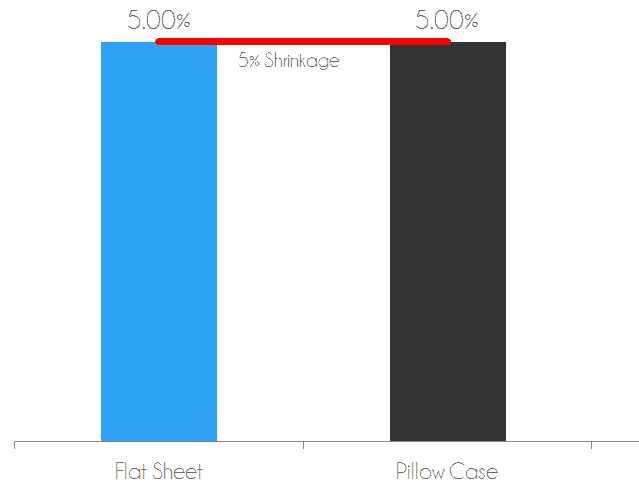 The flat sheet shrank 4.90% and the pillow case shrank 5.0%. Typically, the largest amount of shrinkage will take place during the first wash / dry cycle. Any shrinkage scores that are 5% or less can be considered very good, especially in a 100% cotton. The damage test requires a closer analysis of the overall quality of the sheets after basic usage and standard wash / dry cycles. Upon further review of the Sachi sheets, I did not find any new issues. The sheets still only had 4 loose threads and they did not seem as if they would get significantly worse overtime. To test the colors of these sheets I completely soaked a pillow case and allowed it to fully absorb the water. Once this step was complete, I rung out any excess water with my hands. Next, I placed the pillow case on top of a small stack of paper towels and used a rolling pin to firmly press the pillow case. 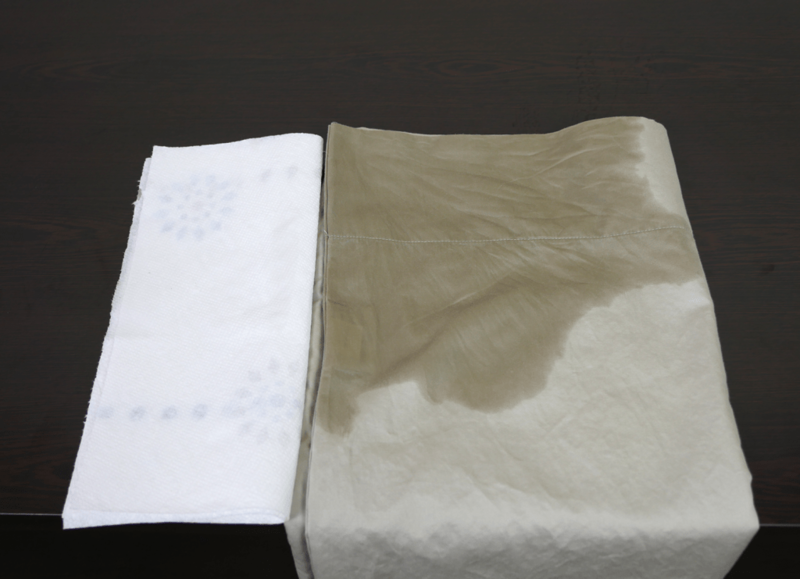 After doing so, I did not see any color transfer from the Sachi sheets to the paper towels. Typically, lower grade sheets will show color run off, but these sheets proved to be made of higher quality materials. The Sachi sheets contain quite the soft feel. The 500 thread count and sateen weave make for a nice, luxurious feel. Compared to most traditional cotton sheet sets I would say the Sachi sheets have a unique feel. On a scale of 1 to 10, where 1 is the softest, I would say the Sachi sheets sit between a 3-3.5. The softness of these sheets definitely plays a part in their lightweight texture as well. These sheets are actually cool to the touch and remained that way throughout my sleep tests. Not to mention, they were so lightweight that the sheets never once stuck to my body. This can be a major benefit for couples or even single sleepers who hate the traditional “ball of sheets” issue. Sachi allows you to roll over and change sleeping positions without taking the sheet with you. Instead, the sheets will simply slide across your body and continue to provide the optimal level of comfort you were looking for. Style was another characteristic that I enjoyed about the Sachi sheet set. Although I tested their Dune color scheme, they also offer white, navy, and gray. Not to mention they will send you swatches, completely free of charge, so you can match the colors in bedroom. In addition to the modern colors, Sachi sheets have a luminous sheen to them. The sheets seem to glow a little brighter than most other cotton sets, especially in the presence of daylight. Who Should Buy the Sachi Sheets? Want 100% cotton sheets – made from 100% long thread cotton, these sheets are quite nice. They have a 500 thread count, a sateen weave, and a inviting feel. Want a sleek luminous look – these sheets are offered in dune, blue, white, and gray. In addition to the modern color schemes, the Sachi sheets have a pleasing aesthetic. There is a certain glow about this sheet set that helps them to stand out compared to the traditional cotton sheet set. Want softer sheets – as mentioned above, the Sachi sheets contain a 500 thread count and sateen weave. The combination of these two factors make for a very soft sheet set. If you’re looking to get away from those rough old sheets, this set is a great option to consider. Wanting a little more information on the Sachi sheets? Visit Sachihome.com. Made from 100% long thread cotton the Sachi sheets are quite nice. They offer a soft feel, lightweight texture, and cooler sleeping surface. If you’re in the market for new sheets and want to spruce up your bedroom, the Sachi sheets are a great option. Their luxurious luminous sheen makes for a very sleek aesthetic.